WordPress is a Content Management System(CMS) that is a plat form for web designing. WordPress can be hosted or installed locally or online. 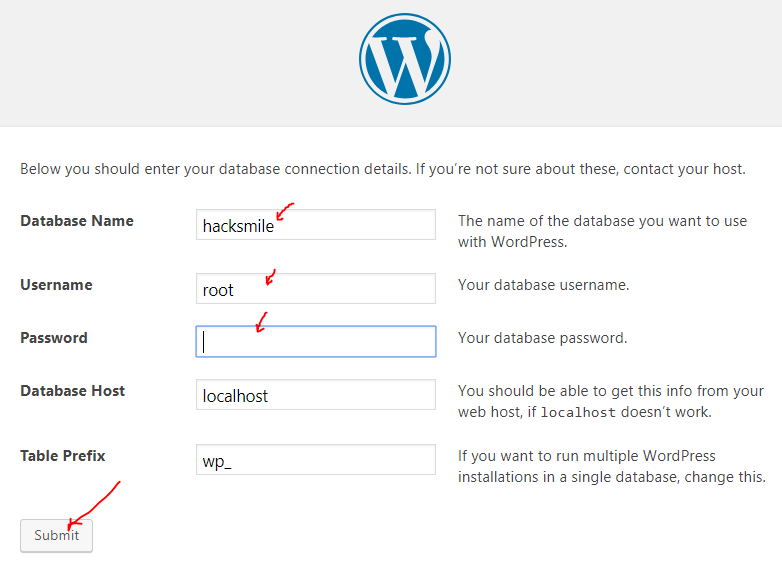 In this tutorial am going to show how to install word in localhost such as wampserver, EasyPhp and Xampp among others. 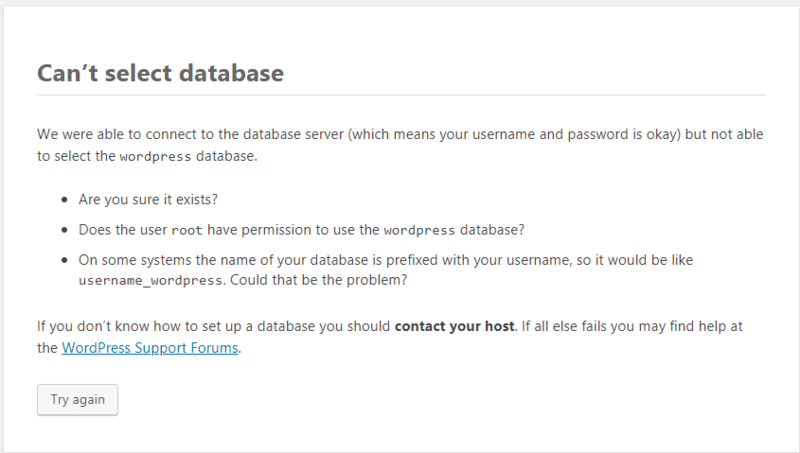 In this post, I am going to show you how to host WordPress in a localhost such as Xampp, WampServer, EasyPhp among others. 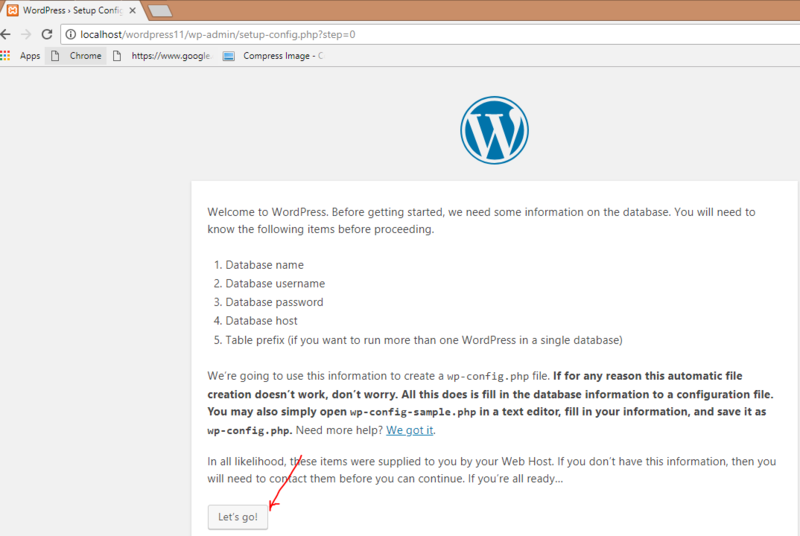 In this particular post, I am using Xampp as a localhost to install WordPress. Follow me up to the end. Click on Explorer and open htdocs folder. You can down load it here. For the first time it will give you a php error. but will show how to fix it. First set the the language and click Ok.
Click Let’s go! 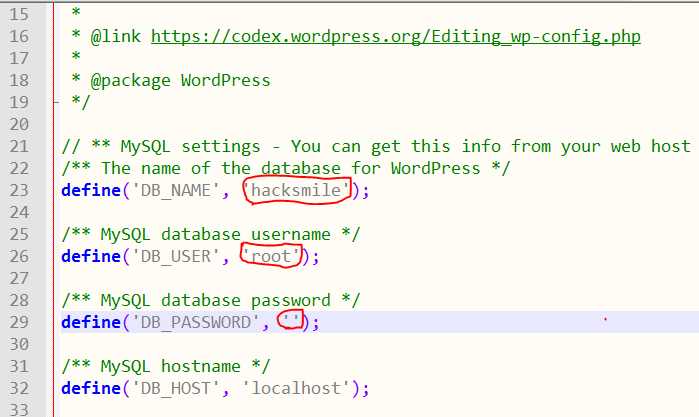 and continue to set the database..
Change the name of Database, username password as shown below. Go back to your browser and update the database log in as shown below. Click submit button and wordpress is ready. There are some instance you may get an error of configuration once you click the Submit button. Here is main configuration you are suppose to configure. Your php error is sorted and solved. Enjoy Hacking!! !